Insurance companies are constantly trying to improve the level of service they provide to customers even if it means a lot of work on new products and services. 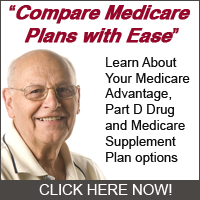 In 2012 Medicare is trying to improve service on their website with the “Blue Button” that should help with navigation. Your information and previous records will be much easier to access with this tool. You can logon from anywhere at any time and be able to access your medical history, health care providers and medications. What this does is make it easier for you to keep friends, family members and caregivers give you the care that you need. The Blue Button is very safe and secure to use, meaning that you don’t have to worry about your personal information getting out. This, in addition to its general ease of use, makes this button a home run for policyholders. Tremendous service is compounded with the Blue Button by giving you access to your personal health record. It gets very easy to access your information on other systems and update it because of the ability to import.